Rental property mortgages are very similar to traditional mortgages. These types of home loans allow borrowers to invest in a property with the intent of renting it out to tenants. This can include having renters year-round, or at specified times in the case of a vacation property. Rental property mortgages make it possible for homeowners to grow their finances from a steady stream of extra income. Similar to mortgages for primary properties, rental property mortgages come in different forms. Whether it's a second home mortgage or a vacation home mortgage, borrowers can choose from fixed-rate mortgages or adjustable-rate mortgages, sometimes called variable-rate mortgages. However, the risk involved with a lender loaning money for a rental property means that certain restrictions apply. While rental property mortgages are similar to traditional mortgages, there are certain requirements that must be met in order for a borrower to qualify. As of April 19th, 2010, Canadian borrowers must have at least a 20 percent down payment in order to purchase a rental property. This means that unlike with certain traditional home loans, rental property mortgages require a greater amount of upfront costs. One upside to this rule is that since borrowers will be putting down 20 percent on a property purchase, the mortgage will be classified as conventional and will not require mortgage insurance, helping to cut down on extra costs. In addition, qualifying standards regarding net worth, income and credit history will likely be more stringent when applying for a rental property mortgage. While requirements will vary depending on the lender, some may demand that you have a minimum net worth of at least $100,000 per rental property. As far as income and credit history are concerned, it's important for borrowers to ensure that they have all the documents and proof of gross income, as well as a healthy credit report free of errors and inaccuracies. What are the benefits of a rental property mortgage? The greatest benefit of a rental property mortgage is being able to finance an investment that can expand a borrower's assets and add a steady flow of extra income. Investing in a rental property not only increases a borrower's net worth due to owning more property, it also provides the opportunity for constant profit from renters. Depending on where you purchase a rental property, as well as how large it is, the possibility of supplementary income increases exponentially. Also, while the requirements for a rental property mortgage may be more restrictive than other types of mortgages, it can offer incentives as well. For instance, the amortization period for a rental property mortgage can be extended, resulting in greater payment flexibility for borrowers. In addition, the loan-to-value ratio can be up to 80 percent for a 1-4 unit rental property. Keep in mind that this LTV works for both purchases and refinances of rental properties. 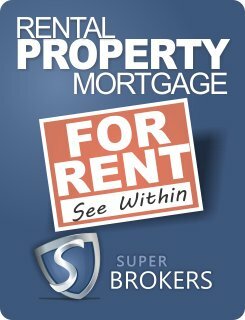 If you're interested in obtaining a rental property mortgage, contact Super Brokers to speak with a mortgage professional. Super Brokers can help borrowers with a 20 percent down payment, as well as proof of net worth, income and good credit, find a rental property mortgage that fits their needs. Keep in mind that the property must be on Canadian soil. 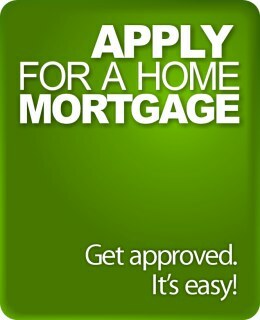 Apply for a Mortgage Our Disclaimer: Although we make every attempt to ensure the accuracy of our website, we recommend you use the above mortgage information as a guideline only. Mortgage interest rates and product availability are subject to change without notice at any time. Certain rates or mortgage products require a minimum credit score, loan amount, or down payment amount and may only be available in specific lending areas. A quick closing loan condition may be required (does not apply to mortgage pre-approvals). 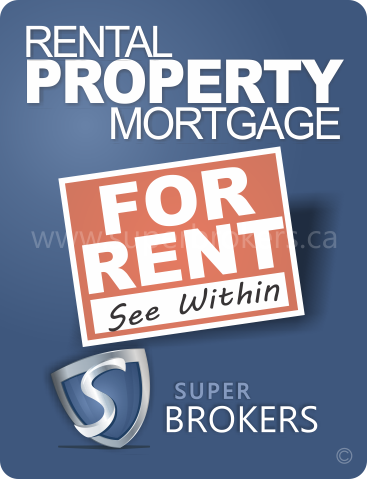 For more information, contact Super Brokers by using our online mortgage application.